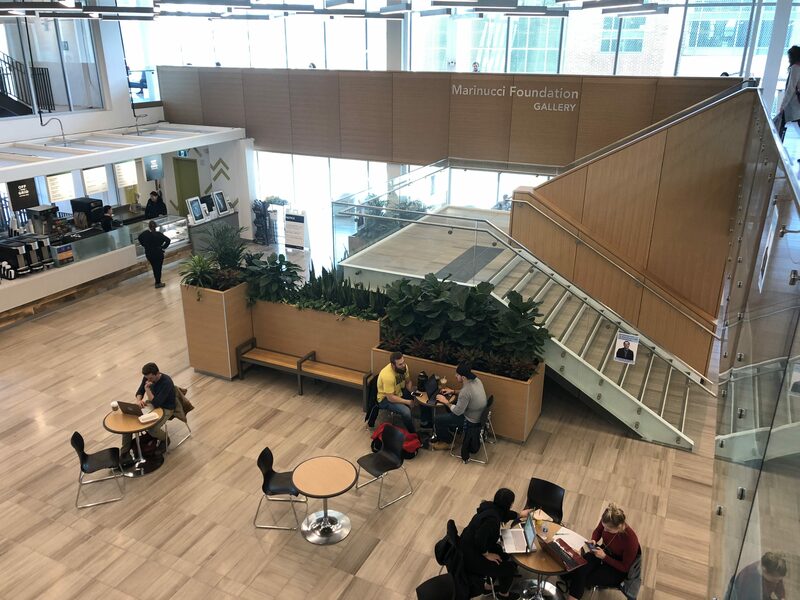 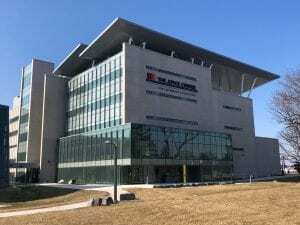 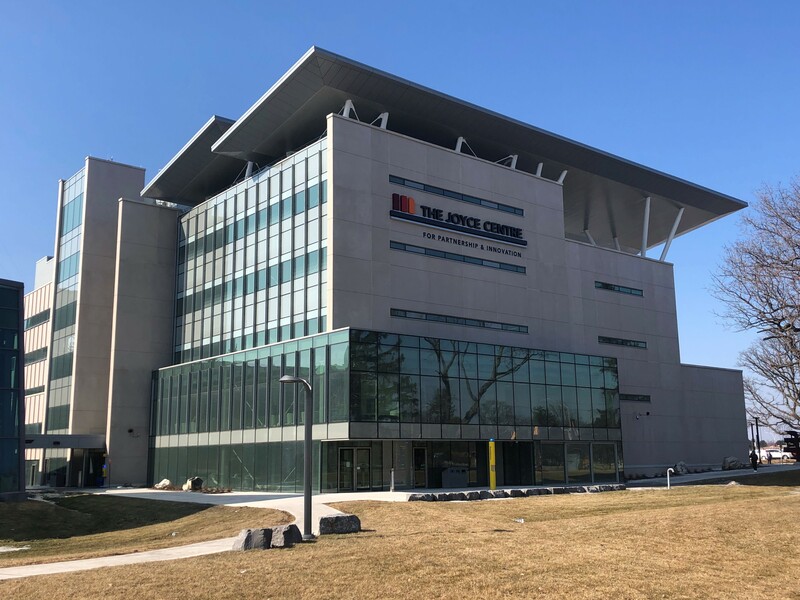 Mohawk’s 96,000 square foot Joyce Centre for Partnership & Innovation is home to the college’s most technologically advanced classrooms and lab spaces. 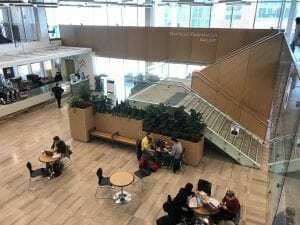 The building was constructed with the goal of becoming a net-zero carbon footprint facility. 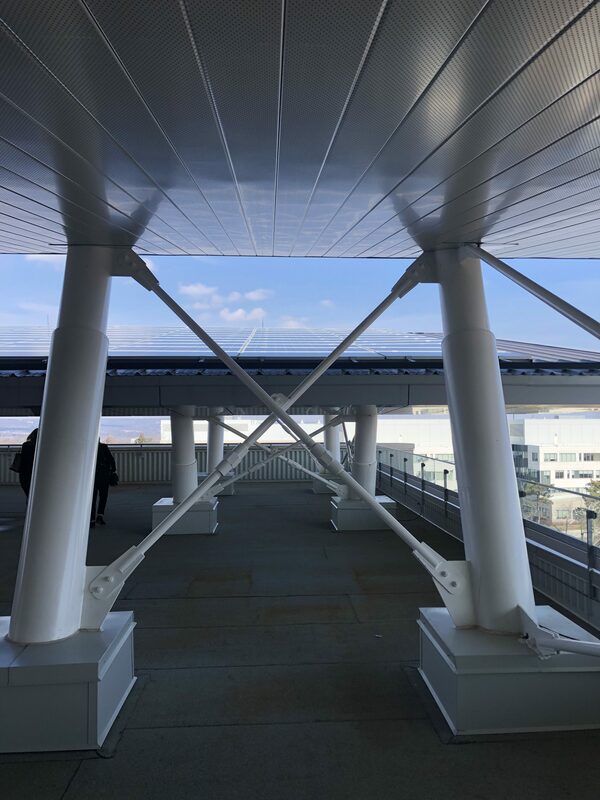 It uses geothermal heating and cooling, rainwater collection and solar power from massive rooftop fins, as well as panels installed on adjacent buildings. 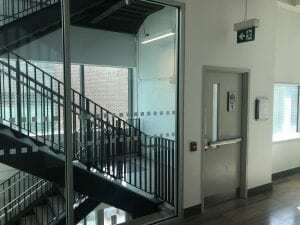 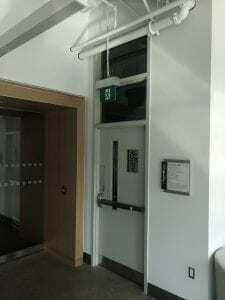 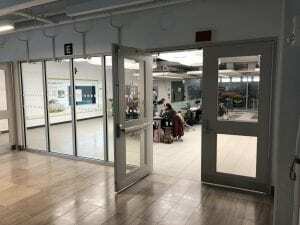 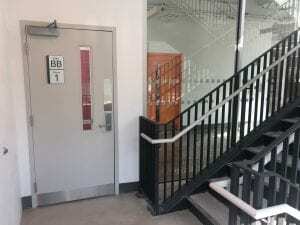 Extra space was allotted in mechanical rooms and on the roof to ensure students and visitors would be able to visit these spaces to learn about the building’s operations. Trillium worked with B+H Architects to develop specifications in accordance with Mohawk College’s strict standards. 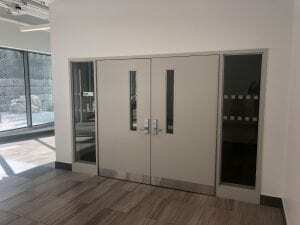 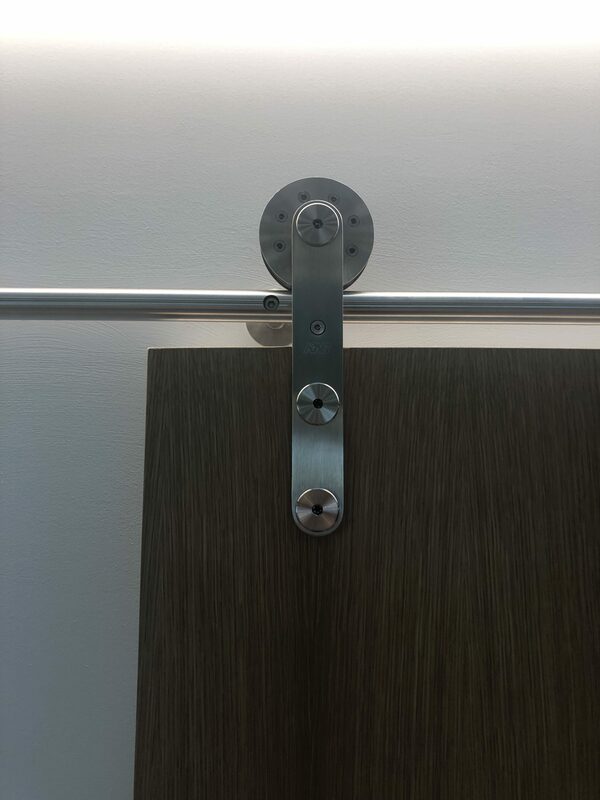 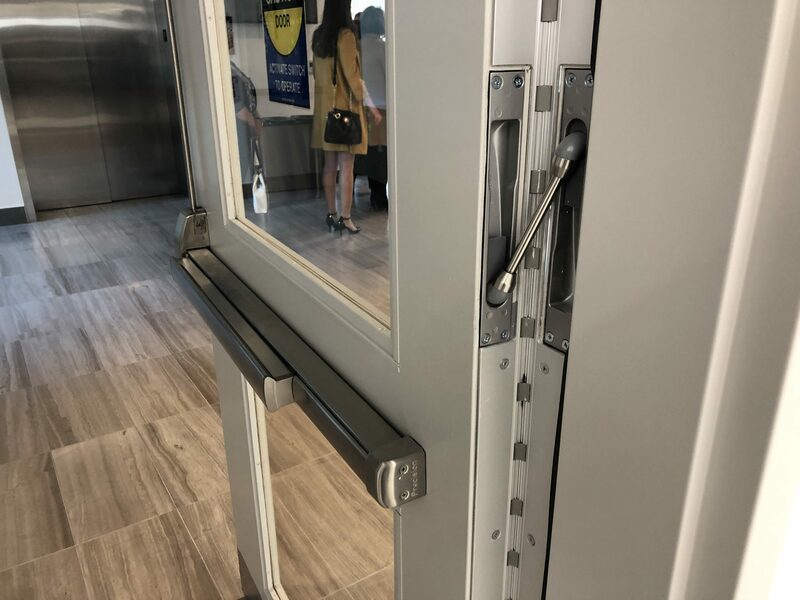 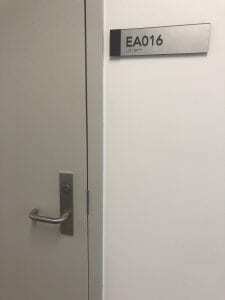 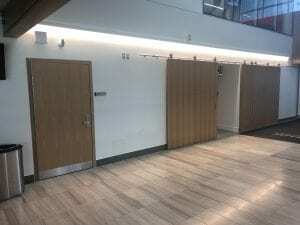 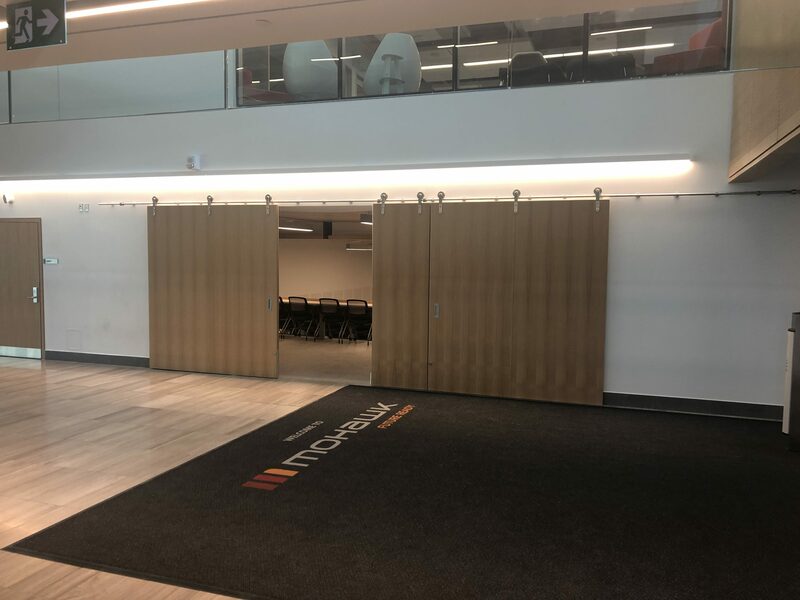 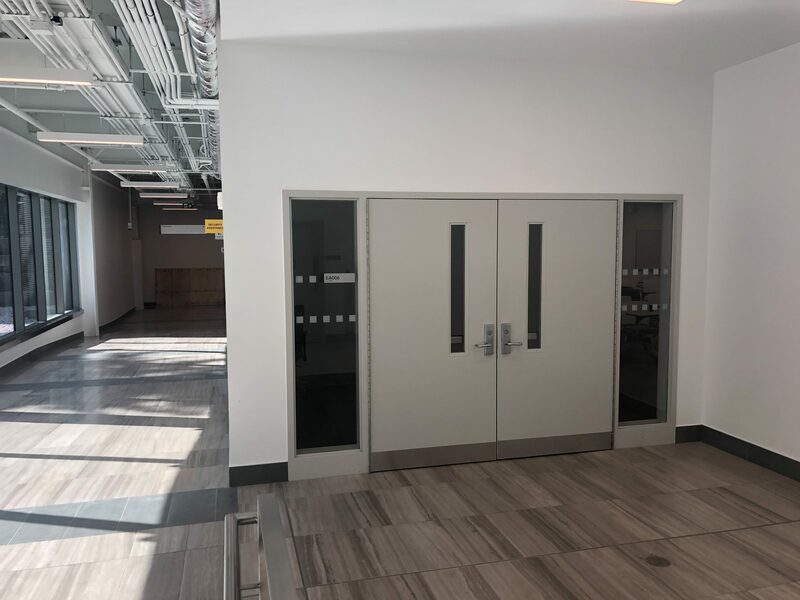 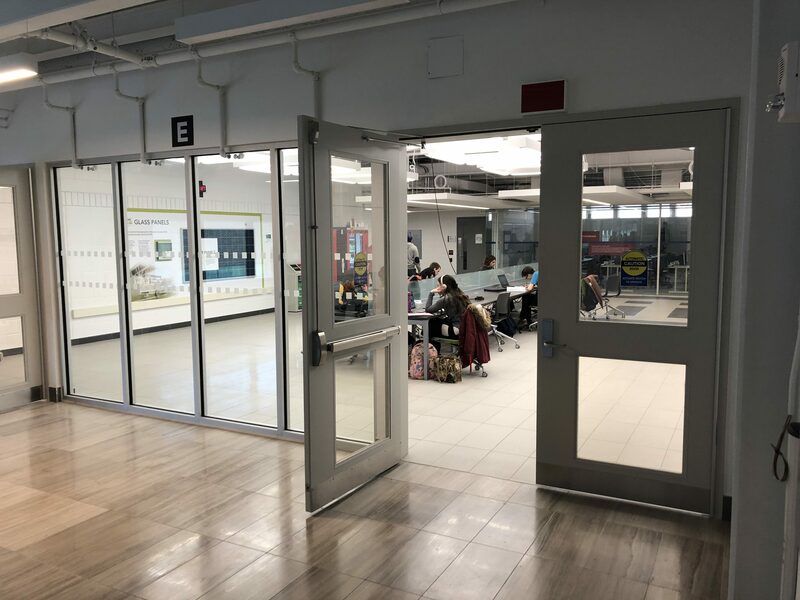 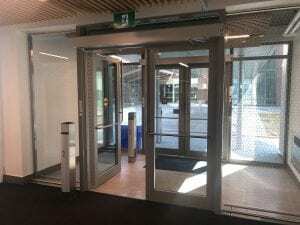 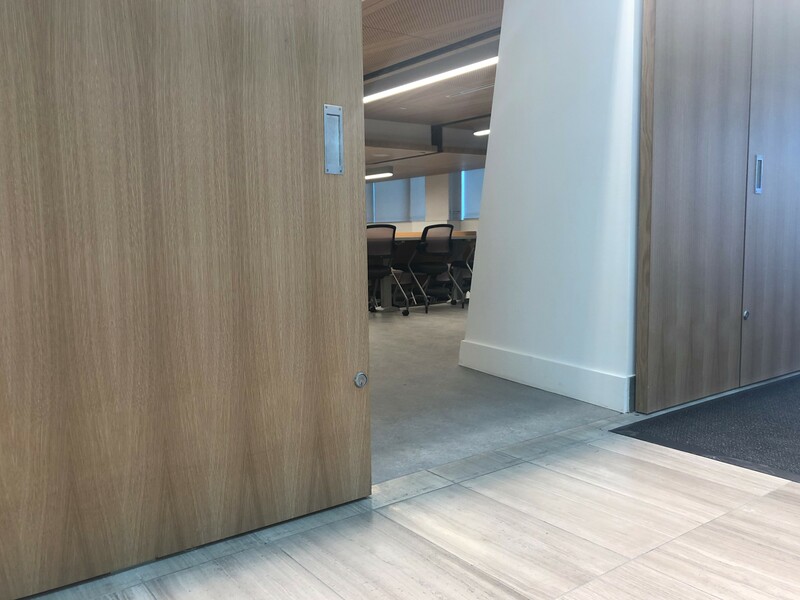 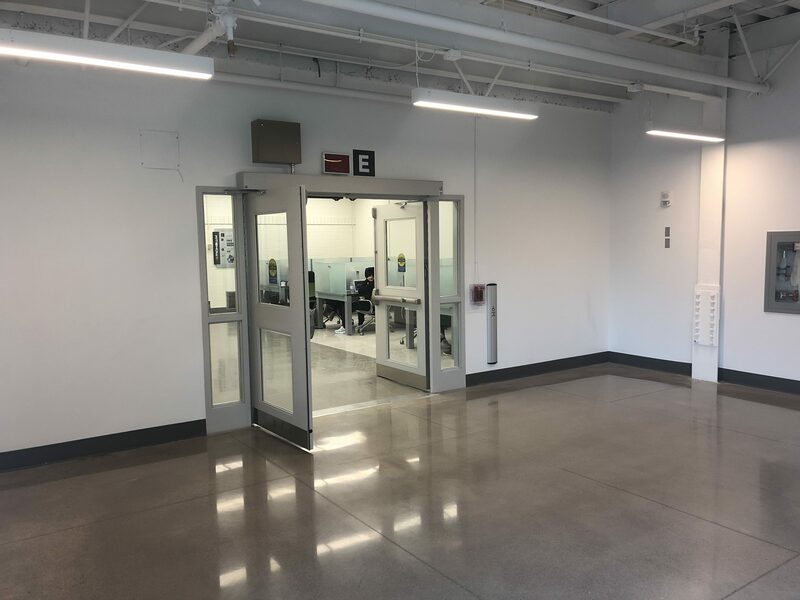 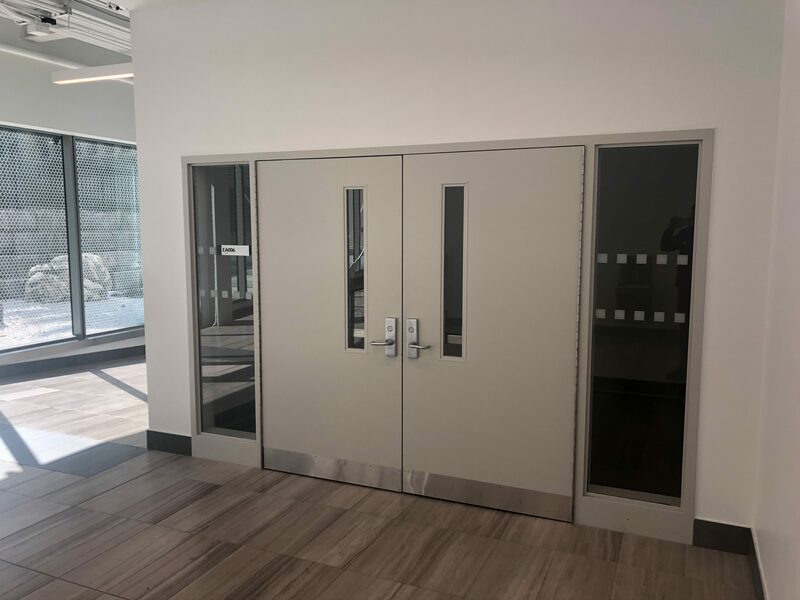 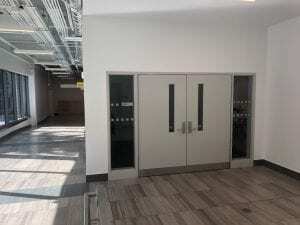 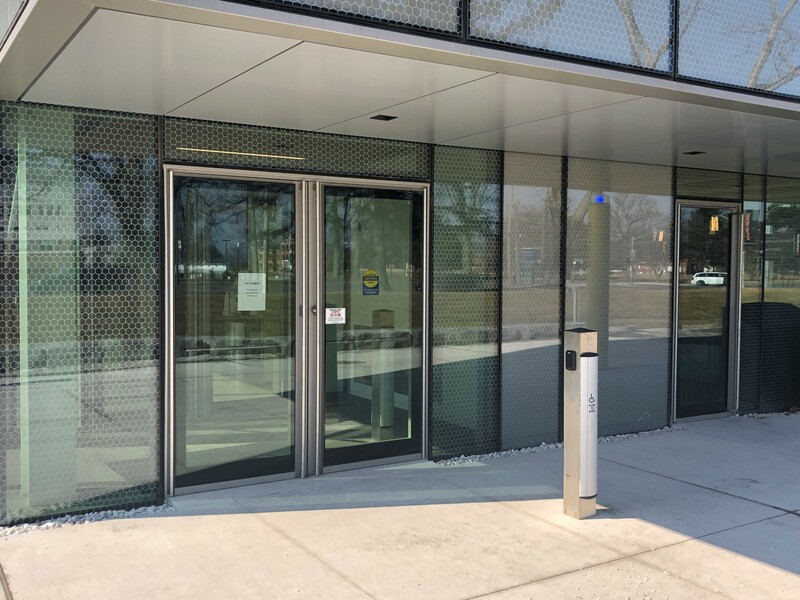 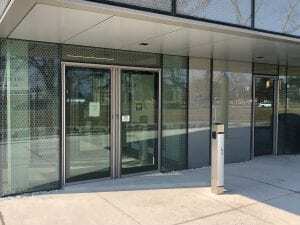 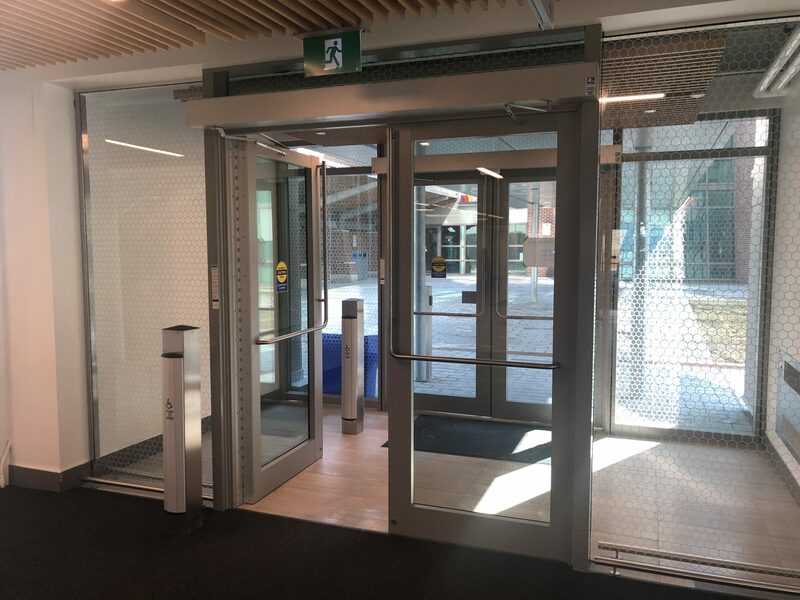 We partnered with EllisDon to supply and install a total opening solutions® package that included hardware and security devices, automatic door operators, wood doors, and hollow metal doors and frames. Unique openings on the project include a massive five-panel wood door just inside the main entrance with sliding hardware from KN Crowder, as well as exterior Phantom doors, which have custom pulls by Gallery Specialty Hardware. 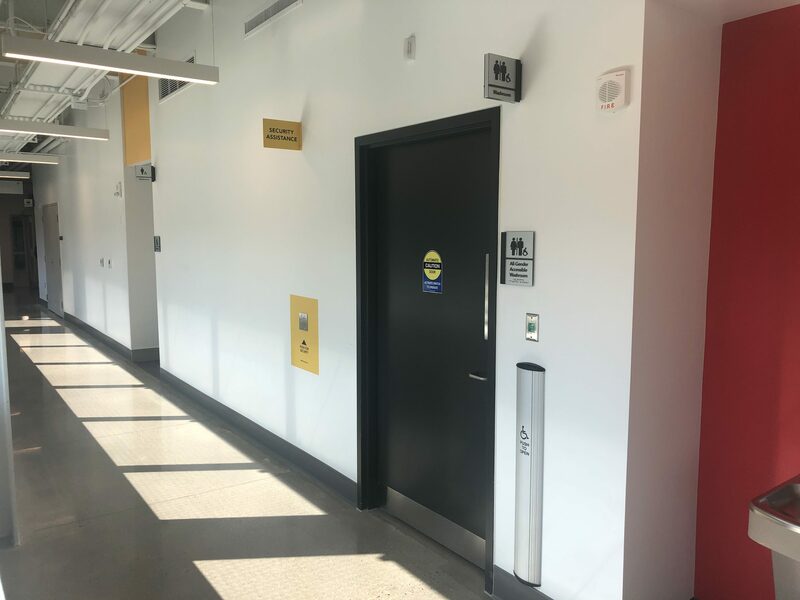 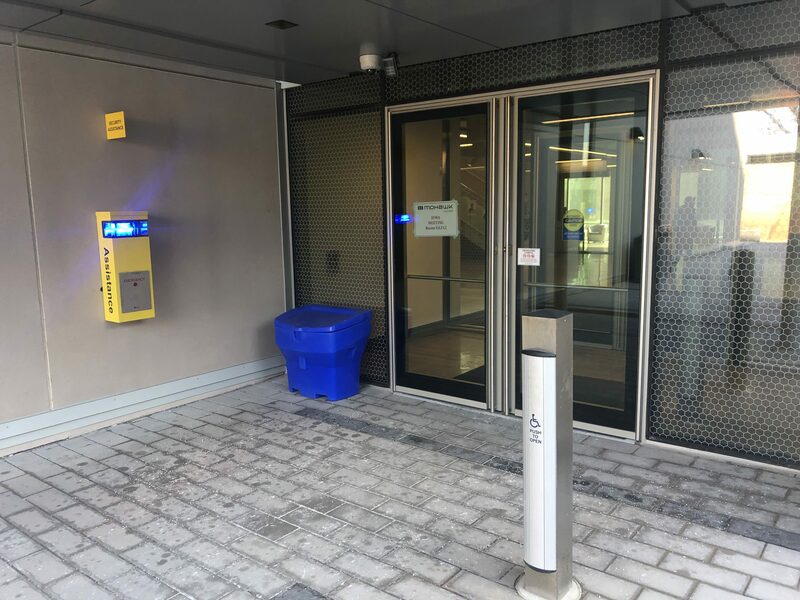 In accordance with Mohawk’s accessibility standards, automatic doors throughout the facility are operated with 36″ bollard-style push buttons. 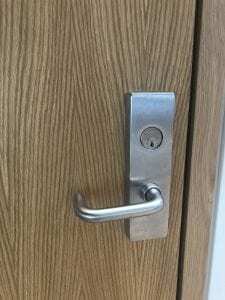 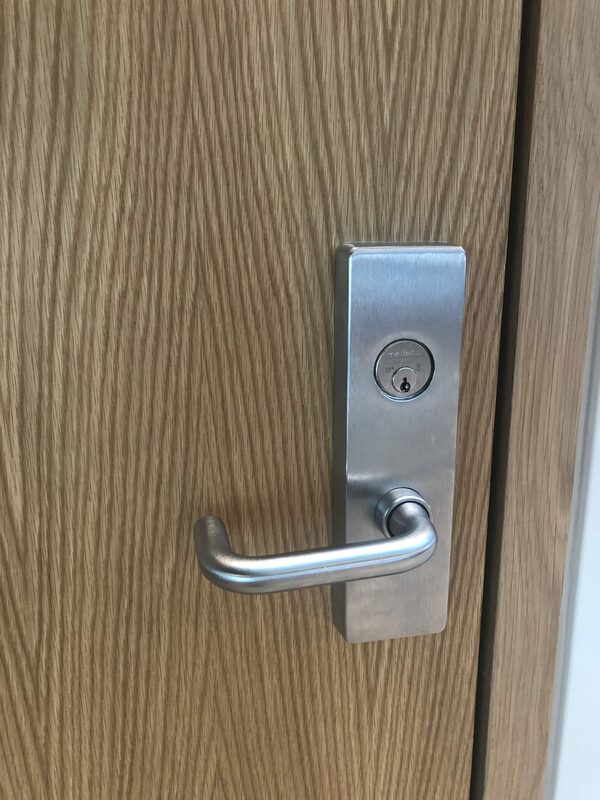 These were sourced from Camden Door Controls.